1. 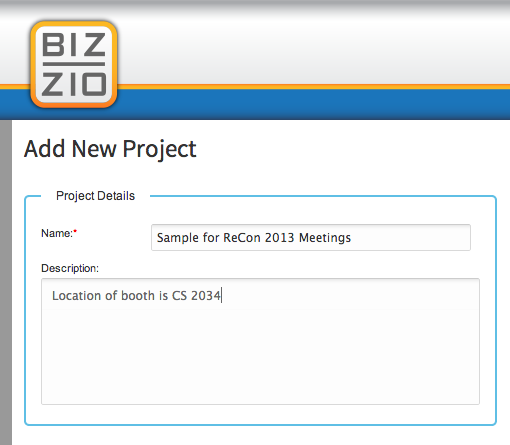 Create a new project and name it "ReCon-13 Meetings." 2. 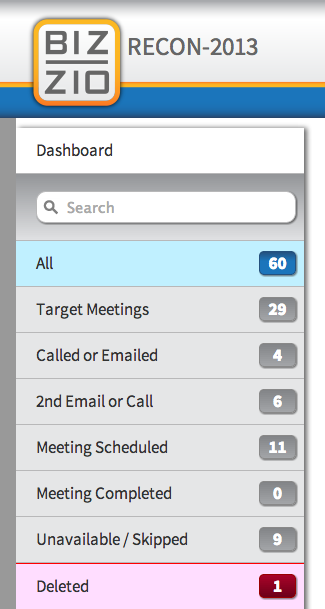 Edit the Categories you need for tracking calls. Use the "add new category" below the categories. 3. 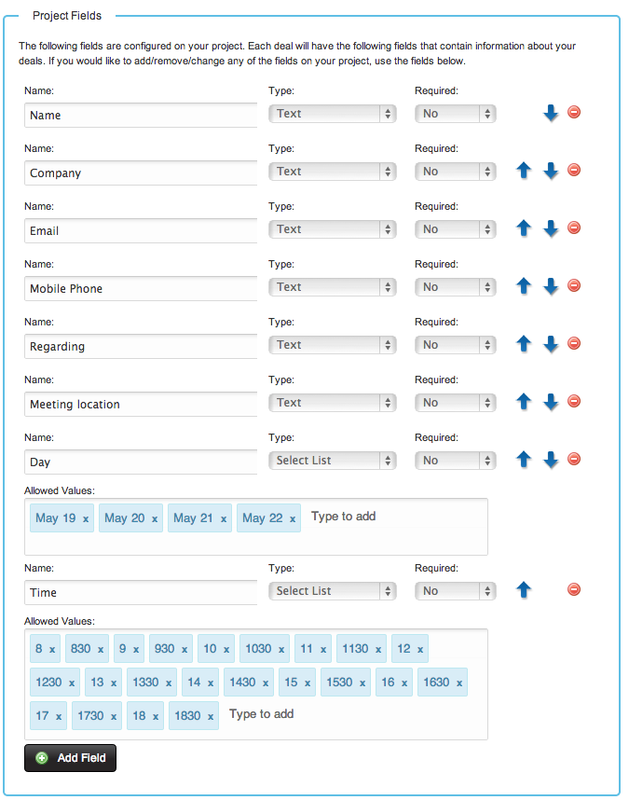 Edit the Project Fields. To add sub-fields for time and date, choose "select list" and then add. 4. Now you're ready to start adding the names of your "targets." Click "add a deal." 5. Enter a name and then click "Details." 6. 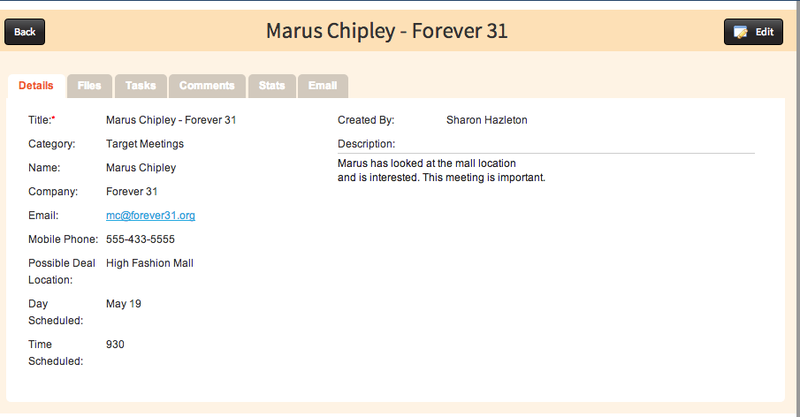 Once all the fields are edited and your "targets" added, you don't ever have to enter or change info again. 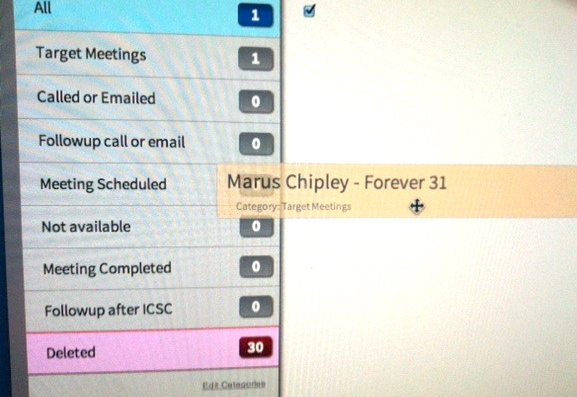 Simply click and drag the "deal" to another category as you schedule meetings. 7. When you are ready to see the results, choose "all" and go to the drop menu. Click "export." 8. 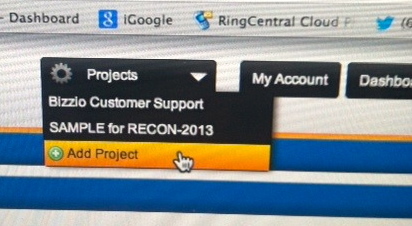 Your project fields will appear with the information you entered.